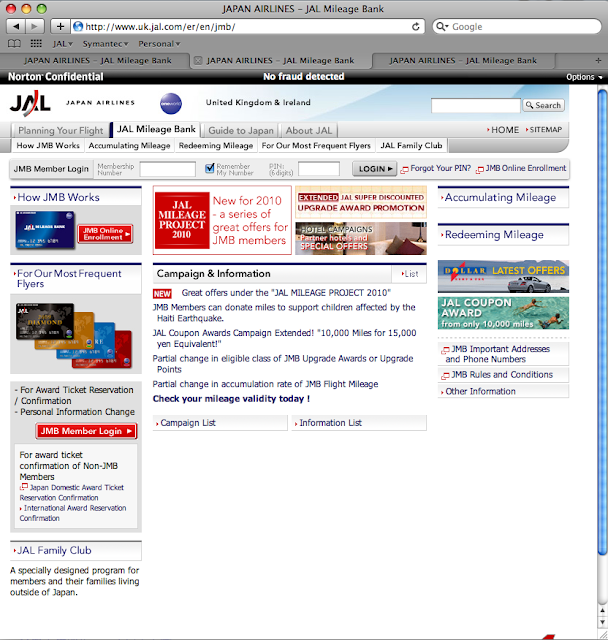 JAL Flyer: English site for JAL Mileage Project 2010 is up! The JAL Mileage Project details in English is available on Japan Airlines website now. But sadly the US website department still doesn't look like they know how to run a campaign or is still as slow as they are before. Where's your sense of urgency and crisis? 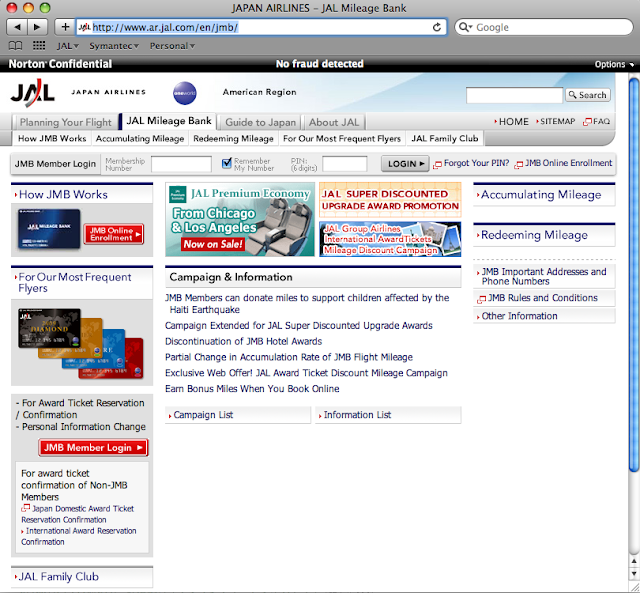 UK JAL Mileage Bank main page. Obvious banner and updated campaign list. Hong Kong JAL Mileage Bank main page. Obvious banner and updated campaign list. 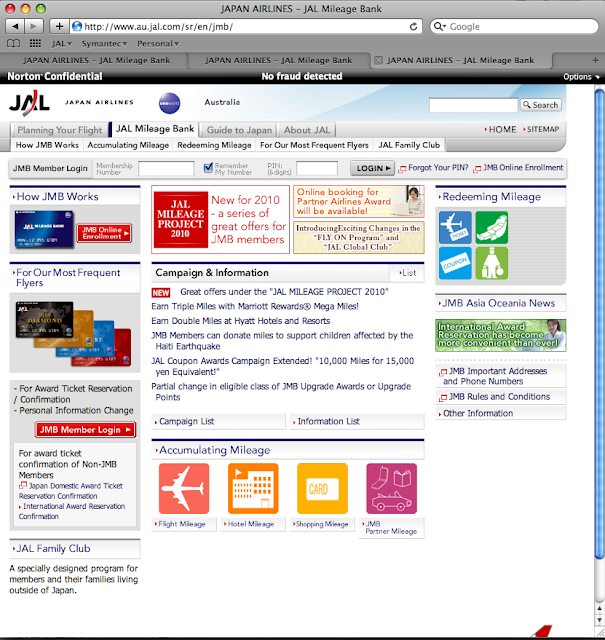 Australia JAL Mileage Bank main page. Obvious banner and updated campaign list.